IMPRINT+ | Projec Partner - E.N.T.E.R. E.N.T.E.R. GmbH's main purpose is providing a unique network structure for the dissemination and sustainable use of EU project outcomes. E.N.T.E.R. therefore tries to connect the supply of European project results in different fields and sectors with the demand for innovation across sectors in Europe through a modern, easy to use solution. E.N.T.E.R. is a European network that has more than 900 member organisations in 44 countries across various fields and sectors. Each provide a strong emphasis for the sustainable use of products as well as the set up of new cooperation opportunities. E.N.T.E.R. members are political decision makers, education and training organisations, regional development organisations, research organisations, chambers, social partners and many others. Additionally E.N.T.E.R. acts proactively as project promoter, project partner and as an expert to foster the dissemination and exploitation standards within the EU. Thereby, it specialises in developing dissemination and exploitation strategies and produces a wide range of materials to meet the individual needs of a project. Georg Müllner has been active in European cooperation projects for more than 15 years. He has experience working on more than 200 European cooperation projects both as a coordinator and as a partner. He is an expert in the domain of distribution and exploitation as well as evaluation and quality assurance." 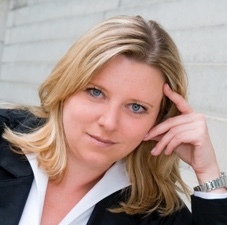 Petra Kampf has experience in the field of international affairs. She used to work for international relations at the University of Graz and in the marketing department of Graz 2003 – Cultural Capital of Europe. She has been active for 10 years as a Consultant and Project Manager in different EU funding programmes in the field of evaluation, quality assurance, distribution, exploitation and project coordination.